While the tax filing season has ended for most of the tax payers in India, its vital to understand the tax savings offered in Indian Budget 2018 and act accordingly to maximize the Tax Savings. Let’s take a look at what was offered for Senior Citizens ? 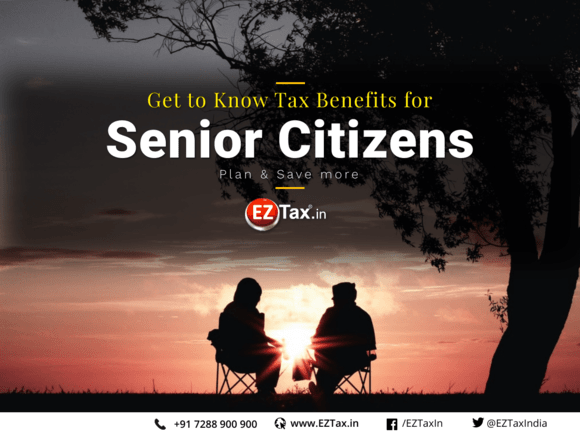 A new standard deduction for Senior Citizens was introduced and is set at Rs. 40,000. While individual allowances related to transport is at Rs. 1600 per month (a total 19,200 per year), and reimbursement of medical expenses is at Rs. 15,000, a total of all individual allowances stands at Rs. 34,200. But it’s wise to take a standard deduction of Rs. 40,000 without any hassles in showing proofs etc. Tax payer is an individual. Tax payer is resident in India as per the Income-tax Act. Tax payer is of the age of 60 years or above at any time during the year. Another welcoming move is on deduction of interest income. Deduction of interest income received on deposits with banks & post offices was increased from Rs. 10,000 to Rs. 50,000 for senior citizen, u/s 80TTB. Please remember, if a senior citizen claims 80TTB then the tax payer will not be allowed to claim the benefits of section 80TTA. To reduce the burden of TDS process u/s 194A for senior citizens, it was amended to disallow banks from deducting tax from payment of interest up to Rs. 50,000. An increased in deduction limit for health insurance premium and/ or medical expenditure from Rs. 30,000 to Rs. 50,000 under section 80D for senior citizens is a welcoming move. This benefit will also be extended to the assessee who are paying the premium on behalf of their parents aged at 60 years and above. In case of specific critical illnesses, senior citizens are now allowed to claim a tax deduction of Rs. 1 Lakh for medical expenditure u/s 80DDB. Which is an increase from earlier deduction limit of Rs. 60,000 for senior citizens & Rs. 80,000 for very senior citizens. While this is applicable for all tax payers, Senior Citizens can also get the exemption of Rs. 20 Lakh from earlier limit of Rs. 10 Lakh. This benefit is applicable for tax payers, who receive gratuity on or after 1st April 2018.